Visiting Paris is a luxurious opportunity to soak in Parisian culture, history and most importantly food. If you're a big foodie and want to broaden your knowledge of French cuisine whilst you're in the country then you may want to consider French food tours or cooking classes. Food tours are a display of the culture's varied cuisine. They range in price and usually last a few hours. People on the tour will see real, genuine local Parisian food from local bakeries and restaurants rather than the basic tourist-focused places. Those on the tour may get a chance to sample the local food, learn about the local history and get stuck in to some workshops. The Foodist is a Parisian company offering tours that focus on different parts of French cuisine. These include: chocolate, cheese, gourmet, food tours in paris and bread. The private tours here typically last for two hours and costs around €260 for two adults with a €40 deposit to pay. A tour of an authentic French market is also available through another company. After a walk through the French market and seeing some of the beautiful sights of Paris, a cooking class follows using fresh French ingredients. This tour lasts for four hours and costs €165 per person. 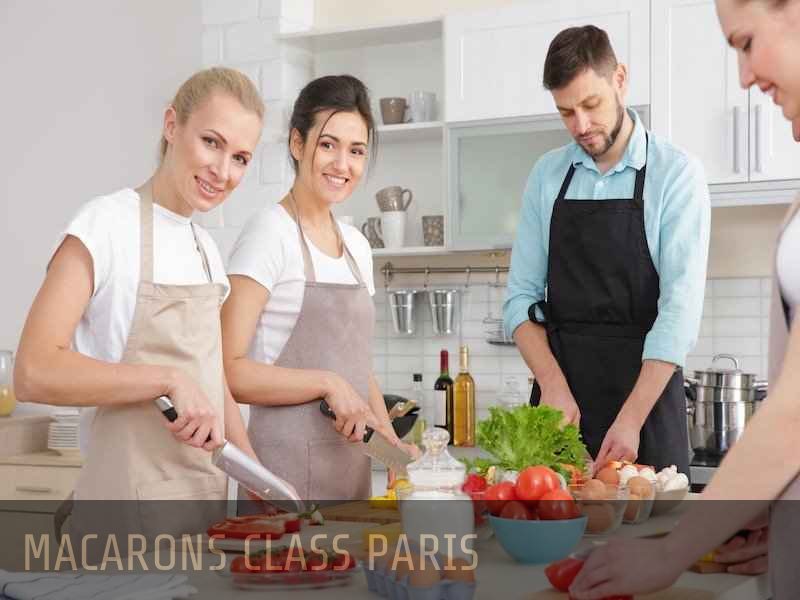 If you'd like to also experience cooking classes after a wonderful tour around Paris, there are many different options. Learn how to perfect croissants in just three hours. You'll get to take your croissants home afterwards! Or you could learn how to master French sauces within three hours. Learn how to make vinaigrette, mayonnaise, port wine sauce, red wine and shallot sauce, chocolate sauce and more. You could always take on the challenging macaron if you're brave enough. Within three hours learn how to use Italian and French meringue in order to produce the authentic macaron. You'll also become accustomed with the traditional fillings: buttercream, ganache and compote.